The global installed base of Connected TV devices (including Smart TVs, Games Consoles, Blu-ray Players, Digital Media Adapters and Set-Top Boxes) will double over the next 5 years exceeding 2 billion units by 2018 according to a Strategy Analytics Connected Home Devices (CHD) service report. • IP connectivity is fast becoming ubiquitous as IP-enabled CE devices accounted for 87 percent of all CE devices shipped in 2013. • Global households own an average of 2.8 connected CE devices with the USA seeing the highest levels of ownership at 7.7 devices. • Global retail spend on Consumer Electronics products will exceed $1 trillion for the first time in 2017. • Average global retail spend per household on all Consumer Electronics products grew 2.9 per cent in 2013 reaching $485. David Watkins, Service Director, CHD commented: “The growth in ownership of Connected TV devices is having a profound effect on the way in which people access and consume media content on the TV set. Furthermore they are helping to provide opportunities for companies outside of the traditional TV industry such as Google, Apple and Amazon to compete for a share of the TV audience”. 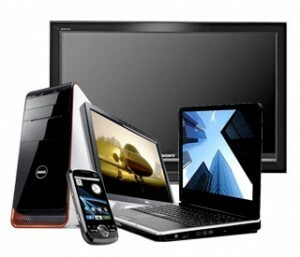 Eric Smith, Analyst, CHD said: “On a global scale, IP-enabled flat panel TVs are the most common Connected TV device in living rooms today, occupying close to 30 percent of the installed base of such devices, a figure that is set to rise towards 50 percent by 2018. However, that is not to say that IP-enabled TVs will necessarily become the default device that consumers use to access OTT content as there will continue to be various device options available to consumers”.